T.E. 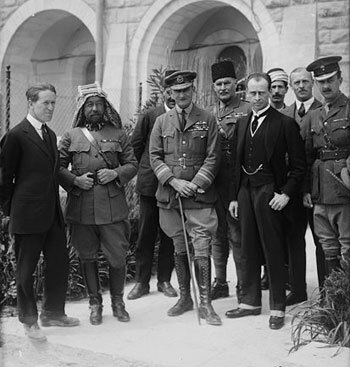 Lawrence gained fame as a British leader of an Arab revolt against the Ottoman Empire during World War One. A charismatic figure, Lawrence threw himself into Arabic culture to befriend and sympathise with his Arab partners. It was this ability to identify with the Arab peoples which made him a successful military leader in the guerrilla warfare of the 1917 Arab revolt. Lawrence was born at Gorphwysfa in Tremadog, Caernarfonshire (now Gwynedd), Wales. 16 August 1888. At an early age, his family moved to Polstead Road, Oxford , where he attended the local Oxford high school for boys. In 1907, he went up to Oxford University, studying at Jesus College. From an early age, Lawrence was fascinated with the culture of medieval knights and ancient chivalry. He most probably nursed ambitions to follow in the footsteps of these ancient heroes. As a young boy, he loved to travel around English churches, making etchings of notable figures. During his university time, he travelled extensively around France on bicycle; in particular, visiting the Crusader temples and castles which fascinated him. 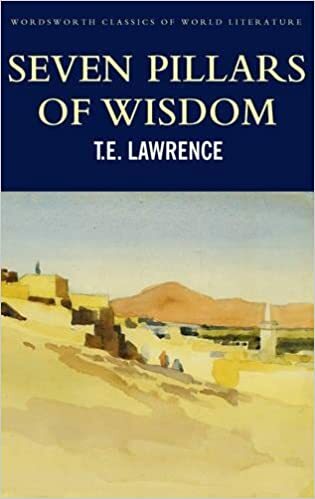 After graduating with a first class bachelors degree, Lawrence began studying medieval pottery at Magdalen College, but given a chance to become an archaeologist in the Middle East, Lawrence jumped at the opportunity and sailed for Beirut in 1910. In the Middle East, Lawrence continued his studies of languages; he learnt languages easily and could speak fluently French, German, Latin, Greek, Arabic, Turkish and Syriac. 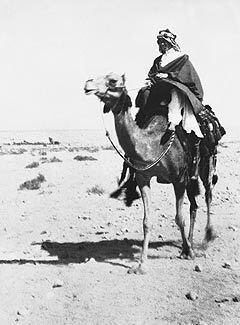 Important influences for Lawrence during his time in the Middle East included the Arabist and archaeologist – Gertrude Bell, and D.G. Hogarth of the British Museum in Jerablus. During his archaeology trips in the Middle East, Lawrence took the opportunity to learn about Arabic culture. But, as well as learning about their culture, he wanted to identify himself with the locals. He took to wearing a native costume and learning the different customs and aspects of local life. His empathy and adoption of local customs helped to bring out the native Arabic friendliness. He often won the loyalty and admiration of locals who he visited on his travels. Lawrence also became aware of the Arab resentment against the occupation of the Ottoman Empire. Although the Ottoman Empire was Islamic, it wasn’t Arabic and the occupation had become increasingly brutal and resented. 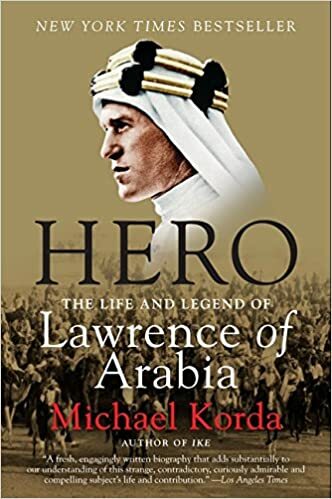 When war broke out in 1914, Lawrence had one a unique first-hand knowledge of Arabic culture in the region. This was to prove of vital importance as the Ottoman Empire allied itself with Germany, and so became Britain’s enemy. In 1914, Lawrence helped to map the Negev Desert which might be used by the Ottoman Empire. It was surveyed under a smokescreen of ‘archaeology’ but was actually a purely military exercise. At the start of the war, Lawrence was posted to Cairo where he worked for British Intelligence in the Middle East. The Arab Bureau of the Foreign Office was aware that an Arab revolt against the Ottoman Empire would help the British war effort with minimal cost. In Lawrence, the Foreign Office felt they had the ideal individual to try and unite the various Arabic tribes. Lawrence seemed naturally at home with Arabic culture. The main leader of the Arabs was Emir Faisal, son of Sheriff Hussein of Mecca, whom Lawrence was able to make an alliance. Under Lawrence’s leadership, they began a classic guerrilla campaign – successfully attacking Ottoman supply lines – especially the Hejaz railway running through the desert from Medina. The troops Lawrence worked with were often a disparate band; it was a complex network of alliances and different tribes. They were also relatively lightly armed, relying on speed and surprise and avoiding full frontal confrontation with a superior enemy. They did prove successful in upsetting the Ottoman army in the region. In 1917, Lawrence directed an attack on the strategic port of Aqaba. From the rear, the city was lightly defended because the Ottomans didn’t feel it realistic for an army to cross the barren desert. Lawrence initiated the attack without even informing his superiors. Lawrence was given a free hand by his commander General Sir Edmund Allenby. Allenby was full of praise for Lawrence. – Edmund Allenby, commander of the Egyptian Expeditionary Force to Lowell Thomas. Lawrence led a small force travelling on camel and picking up volunteers along the way. The attack was a great success but, after capturing the city, there was no way to communicate the victory. Lawrence undertook the mission himself and rode all the way back to British Command to tell Allenby in person. The victory was a major morale boost for the Allies and propelled Lawrence into an important position. He had the confidence of the Arab leader Emir Faisal and also the British. In fact, this dual loyalty to both the British Empire and the Arabs were to prove a testing dilemma for Lawrence. 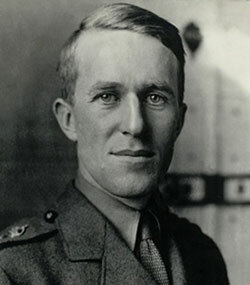 In 1918, Lawrence was involved in the capture of Damascus in Syria. He helped to install Faisal as King of a provisional Arab government. But, this was to prove short-lived as French forces brought the provisional government to an end in 1920. The British French plan later split up Arabia in two with a line. This later created the states of Syria and Iraq. Lawrence was appalled at what appeared to be the broken promises of the British. He had worked with the Arab revolt with promises of a free Arab state, but now, the allies seemed to go back on their promise. Using his newly gained fame, Lawrence tried with mixed success to change British policy towards Arab independence. For a time, Lawrence served Winston Churchill in the colonial office. The new era in Palestine. The arrival at the 1920 Cairo Conference of Sir Herbert Samuel, H.B.M. high commissioner, etc. Col. Lawrence, Emir Abdullah, Air Marshal Sir Geoffrey Salmond and Sir Wyndham Deedes. Lawrence’s deeds were popularised by war correspondents such as Lowell Thomas. His story made him a romantic military hero – adopting a foreign culture to lead poorly equipped locals against a much more powerful occupier. However, Lawrence disliked the attention, fame and publicity that the newspapers gave him. In 1922, Lawrence enlisted in the RAF under a false name, but after being exposed, he changed his name again before spending time in a remote base in India. Throughout his life, Lawrence was a prolific writer. These included his famous short works on guerrilla warfare. His Seven Pillars of Wisdom is read even now by troops in Iraq and Afghanistan. In 1927, he published Revolt in the Desert to help pay off the debt from Seven Pillars. Lawrence took no income from the sale of the book but put it into a trust run by his friend, D.G.Hogarth. The Revolt in the Desert was a bestseller and earned for Lawrence more unwelcome publicity. He also corresponded to many of the leading intellectuals of the day such as George Bernard Shaw, Robert Graves, and John Buchan. Lawrence continued serving in the RAF until March 1935, when his term of service ended. Outside of the military and his interests in archaeology and Arabic culture, Lawrence loved motorbikes. He had seven Superior motorcycles and, tragically, his life was cut short in a motorcycle accident aged only 46. Even after his death, Lawrence managed to have far-reaching consequences. His head injuries were treated by neurosurgeon Hugh Cairns. Cairns was profoundly influenced by the seemingly unnecessary loss of life. 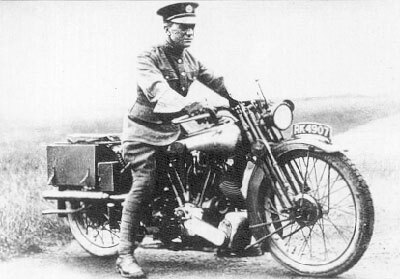 He made further research into the use of crash helmets, and through this research, the use of crash helmets for motorcyclists became compulsory saving the lives of many motorcyclists. Lawrence was buried at Moreton Church, Dorset. His funeral was attended by Winston Churchill. A stone effigy of Lawrence was placed in the crypt at St Paul’s Cathedral. Citation: Pettinger, Tejvan. “Biography of T.E. Lawrence”, Oxford, UK www.biographyonline.net, 1st Feb 2010. Last updated 22 February 2018. Famous military figures – Famous military leaders and soldiers, including: Alexander the Great, Napoleon, Ataturk, Erwin Rommel, Winston Churchill and Dwight Eisenhower.